THE GOVERNMENT IS advancing legislation to allow for the creation of supervised injection facilities (SIFs), where drug users can legally inject drugs in a medically-supervised centre. Naturally, the debate around this proposal has intensified, and on TV3′s Tonight With Vincent Browne last week, there was a robust back-and-forth between Catherine Byrne, the junior minister in charge of the plan, and Dublin City councillor Mannix Flynn, who is opposed to it. There were a few very noteworthy factual claims, so we’ve broken this into three parts. Today, we’ll examine Minister of State Byrne’s claim that, contrary to widespread contention, there are 787 detox beds in Ireland. On Sunday night, we’ll take a look at Mannix Flynn’s claim that SIFs do not reduce drug-related crime. And on Monday night, we’ll check his claim that SIFs don’t reduce drug-related deaths. What was said: You can watch a short video with an excerpt of Catherine Byrne’s comments, and a breakdown of the basic facts, below. …There are over 700-something detox beds across this country. In response to our request for evidence, the Department of Health and HSE provided the current number of detox and rehab beds in Ireland. The combined number of rehab and detox beds is 787, which clearly is the source of Catherine Byrne’s claim. However, her claim specifically related to “detox beds” and “residential detox beds”. In its response to FactCheck, the Department of Health did not state that the Minister of State had actually intended to refer to the combined total of rehab and detox beds. The actual number of detox beds in Ireland is currently 144, clearly far fewer than the “700-something” claimed by Byrne. It’s probably also worth noting that this figure is also far greater than the figure of “about 30″ claimed by Mannix Flynn during the debate. 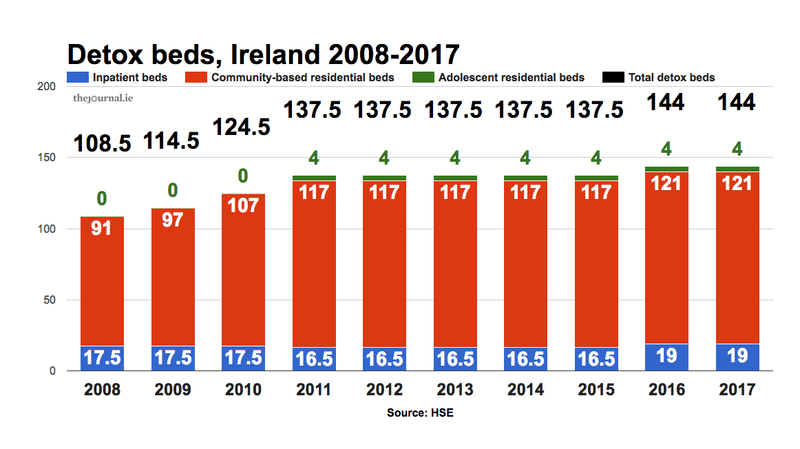 The actual number of residential detox beds in Ireland is 125 (the remaining 19 detox units are inpatient beds). This is more than six times fewer than the figure of 787 presented by Byrne. So the Minister of State appears to have been confusing two significantly different figures in her remarks on Tonight With Vincent Browne. This is a relatively understandable error (she didn’t fabricate the figure she offered, just confused it with another related one). However, we rate her claim FALSE. As our verdicts guide explains, this means: “The claim is inaccurate”. This is the first time we’ve fact-checked a claim by Catherine Byrne. In future, you’ll be able to find her FactCheck File here. On Sunday night, FactCheck will examine Mannix Flynn’s claim that supervised injection facilities do not reduce crime. Email “FactCheck: How many detox beds are there in Ireland?”. Feedback on “FactCheck: How many detox beds are there in Ireland?”.